The "One Man" Casket Lift Supports are designed to allow one person to lift the heaviest casket off a showroom truck and onto a bier or church truck with ease. Simply lift the bar and the lift will rise from 18" to 24". 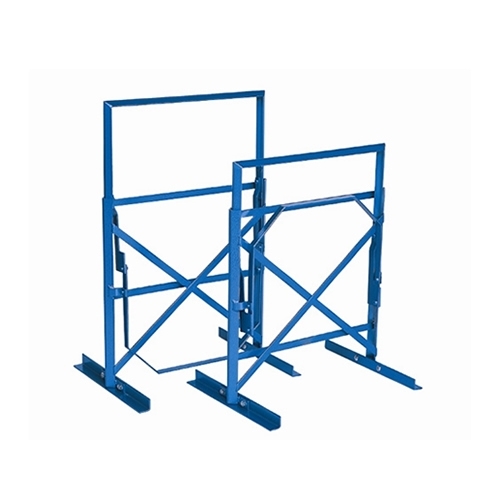 When in raised position, lift support will automatically lock into place. Lifts up to 600 lbs. without strain. Sold in pairs (2 casket lift supports).